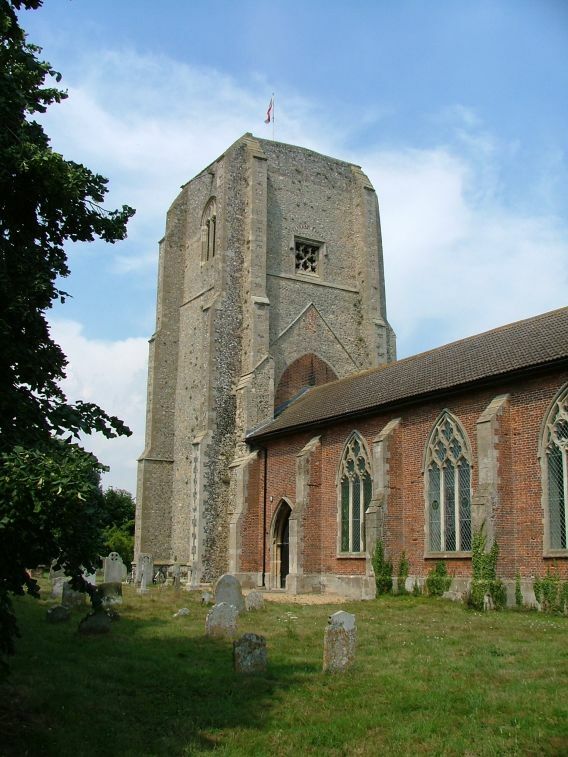 The imposing bulk of this tower can be seen for miles, its massive shape beside a sharp bend on the Aylsham to North Walsham road. 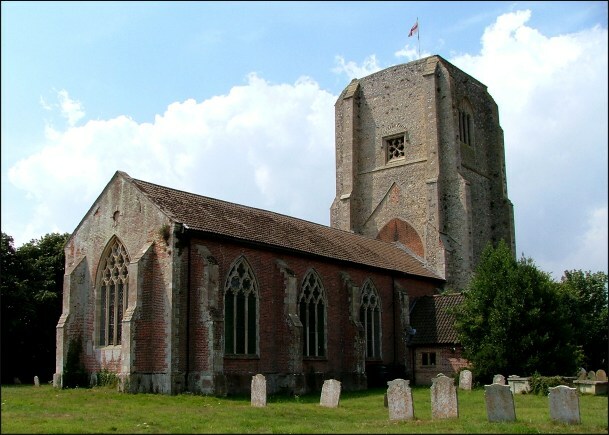 There is something primitive about it, more like a castle keep than a church tower. This must have been a huge church once. 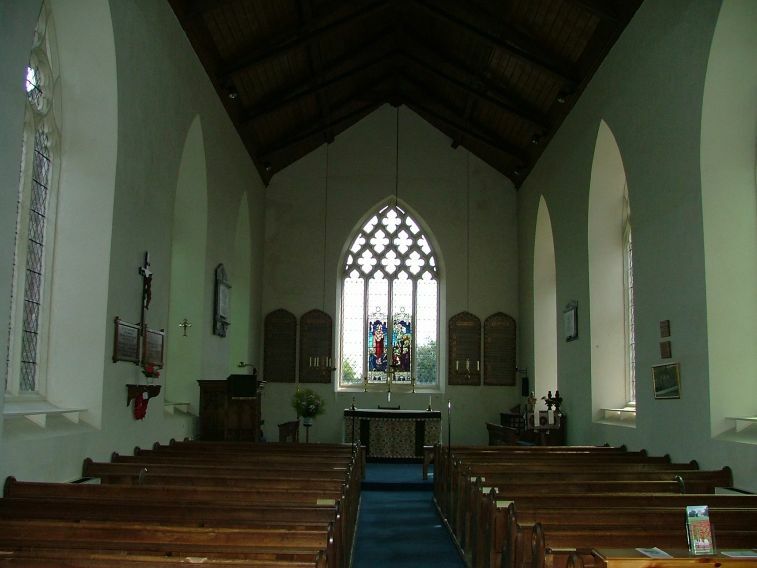 Now, you get here to find a sedate and pleasing red brick church built in the 1740s in place of the old one. 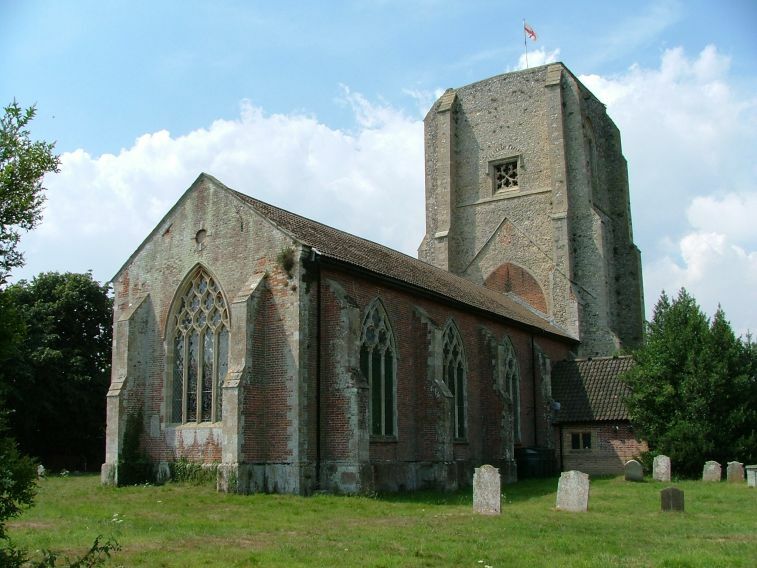 You can see the roofline of the old church on the eastern face of the tower, and the tower arch underneath has been filled in with red brick, which is not unattractive. 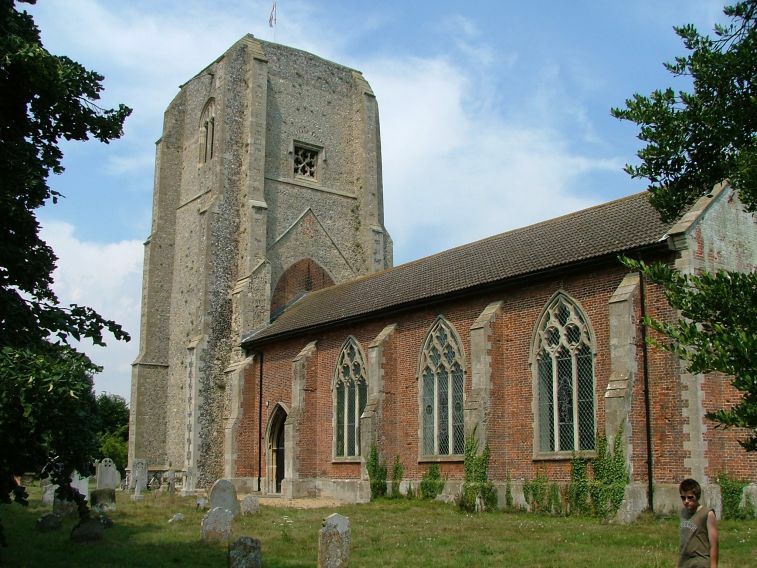 This is still a substantial building, but dwarfed now by its tower. I am told that, very unusually in this area, there was a time when this church was not open to visitors, but it certainly is now, with a very proud open sign facing the road. I was here with my 13 year old on a bike ride on one of the hottest days of July 2006, and it was a blessed relief to step into the cool of the church. The interior has a curious feel, as much of the modern day as of its rebuilding. 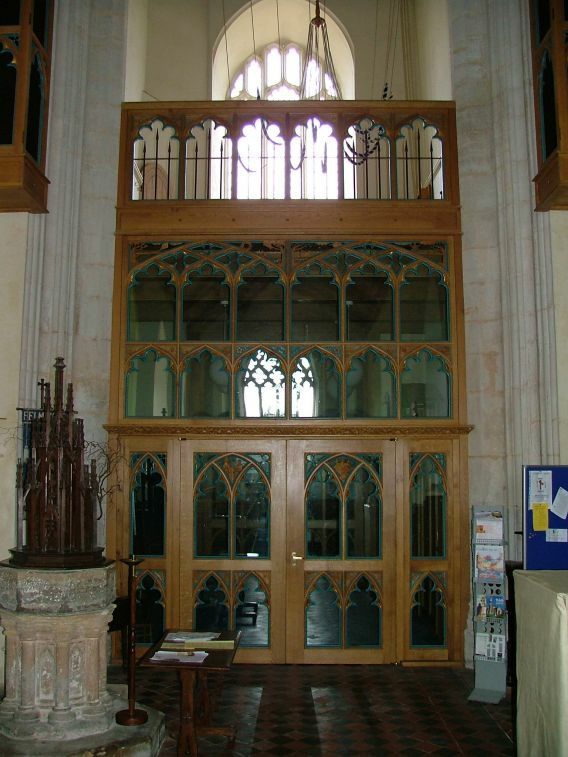 There was obviously a substantial Victorian restoration of the interior, but the most striking thing as you go in is the large modern screen that now fills the tower arch, with the ringing chamber at the top, and a comfortable room underneath. 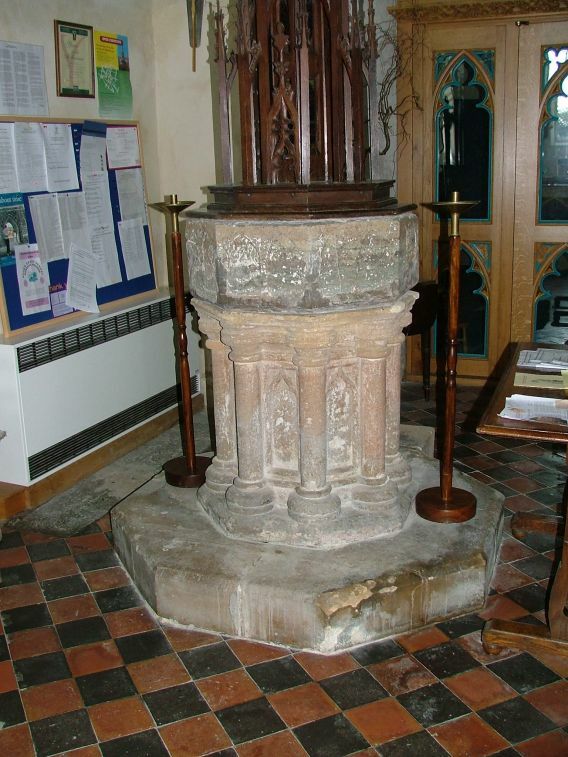 The font, like several others in this area is a Purbeck marble job reset on a collonade. 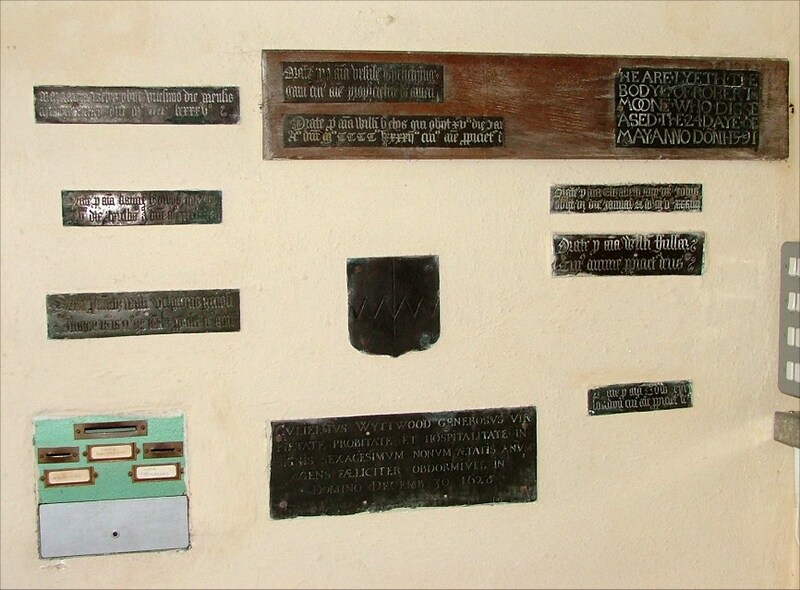 When the church was rebuilt, the brasses were gathered together, and are now on display on the wall in the south-west corner of the nave. 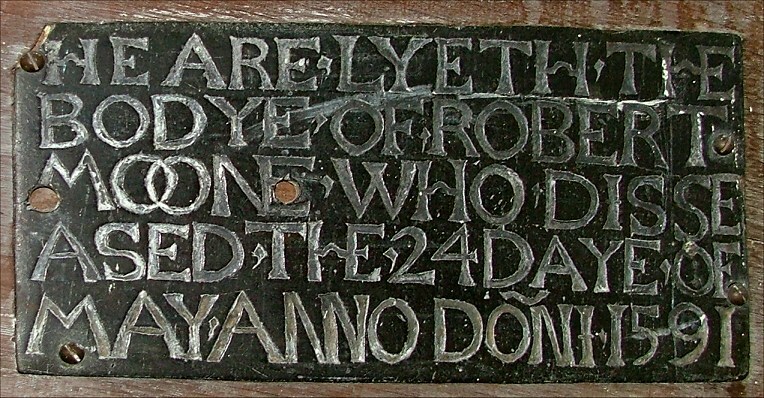 The most striking is the wholly secular heare lyeth the bodye of Robert Moone who disseased the 24 day of May anno doni 1591. Half a century earlier, English church memorials had beautiful lettering in Gothic script, but the Reformation put an end to all that. Meanwhile, in continental Europe, the Renaissance was in full flow. This is the price we paid for puritanism. 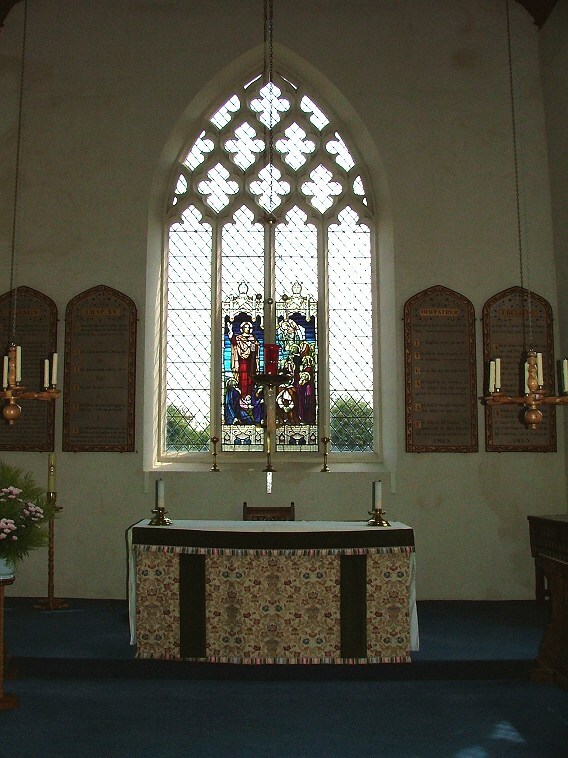 There are a number of other small survivals from the earlier church, including some architectural details in the windows and doorways. The body of the church is plain and simple, clean and trim. 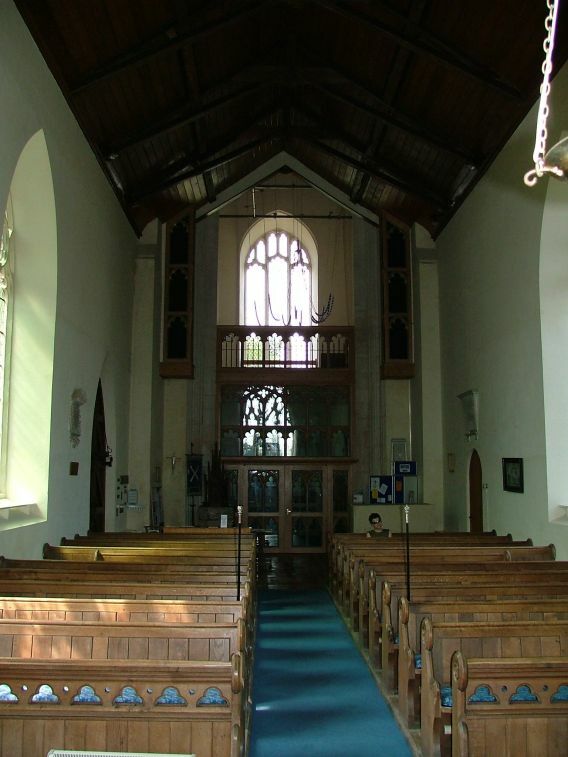 As you would expect from an 18th century rebuilding, there is no separation between nave and chancel. 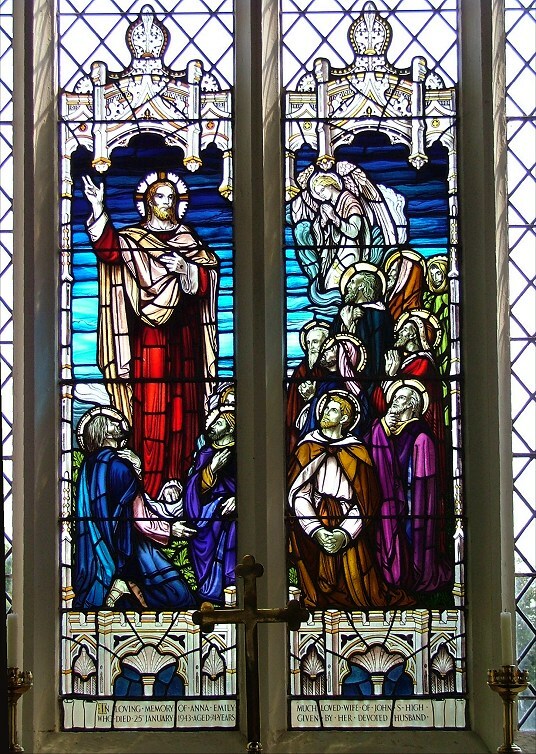 There is some good late 19th and early 20th century glass, especially the excellent post-war Ascension scene in the east window, which verges on the Expressionist in style. But what I will mostly remember this church for is it being an oasis of cool on such a hot day.